Katrina has been the YES Program Director since May of 2009, following her graduation from St. Vladimir’s Seminary. She has been involved in youth ministry for almost 20 years. 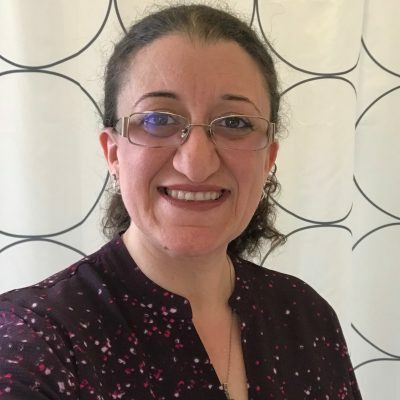 She served as a full-time parish youth director for 6 years, St. Nicholas Camping Program Director from 2003-Present, OCF (Orthodox Christian Fellowship) College Conference Advisor for 5 years, and has been involved with the YES Program since 2004. Katrina feels incredibly blessed to be part of a program that changed her own perspective on homelessness, poverty, and youth ministry. She is grateful to be able to create opportunities for YES participants and the poor to be known and filled through encounters with each other. Michelle has been involved with YES since May of 2010 when her Youth Director encouraged her to go on a trip. She fell in love with ministry of YES immediately and became trained as a YES Leader in 2012. Michelle graduated with a BA in Fine Arts with concentrations in Painting and Graphic Design. For multiple years, Michelle has loved spending her time with children working at the Antiochian Village, Camp St. Thekla and as a Sunday School Teacher. She currently works as the Trip Planning Manager for YES, enjoying every moment being able to serve in such a wonderful ministry. Michelle also works with an Iconographer and does freelance Graphic Design. She hopes to use her talents to show the world the stories that lie within the homeless community. YES has shaped the way Michelle looks at the world and has instilled in her to meet Jesus Christ in every person she encounters. As a trip leader, there’s nothing else like being with other young Orthodox Christians serving others with such love and compassion. The joy she experiences convinces her that she will be a part of this program for a long time. 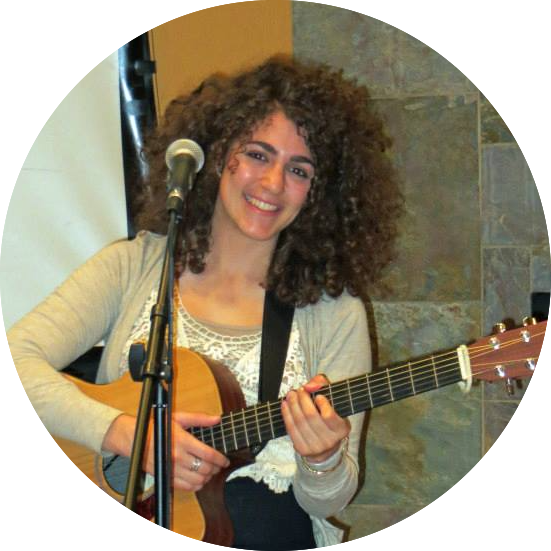 Caroline Ashkar is an artist, musician, and activist. She began working in youth ministry as a program director for the St. Nicholas Camping Program for 6 years. 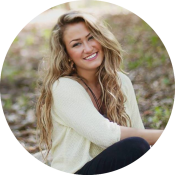 Her experience in youth ministry further developed with the YES program, leading trips since 2009 in Los Angeles, San Francisco, San Diego, St. Louis, Phoenix, and Pittsburgh. In addition, Caroline has worked extensively in the non-profit sector, with social enterprises and organizations that do both international and domestic work. Not only has working with the YES program instilled in Caroline a way of life in serving others, but it has paved the way for her career path, inspiring her to continue working towards social change and empowerment of others. Caroline is currently pursuing a Master’s in Social Work, with a concentration in community based practice. Additionally, much of her focus is arts related, using art and documentary storytelling as a tool for social justice. Halie is a native of Grand Rapids, Michigan but made a huge move to New York City after business school to pursue her true love of acting, singing and dancing, which she says is the best decision I ever made. 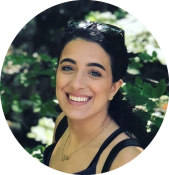 For two summers, she worked as a counselor at the Antiochian Village, where she met the most amazing kids and went through the most beautiful life changing experiences. Besides working with youth ministry, volunteering at local children’s hospitals in Michigan and in NYC is something she loves to do. Being able to hang out with kids, sing songs, paint and laugh with them is one of her favorite things. From 2009-2014, she was heavily involved in the Susan G. Koman Race for the Cure and Relay for Life, raising pledges and performing at these events. YES has played a huge role in her life, opening her eyes to one of neglected parts of our world. Meeting people on the streets with the most incredible stories, biggest smiles, and love for Jesus, is so fulfilling. 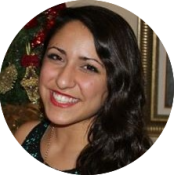 Sarah is a law student at the University of Pittsburgh and has been involved with the YES program since 2011. She has attended many trips as a participant and led the Boston trip in spring 2014. Sarah has been a counselor at Camp St. Nicholas in California for the past four years, a Sunday school teacher, and an assistant advisor for her church’s Teen SOYO group. 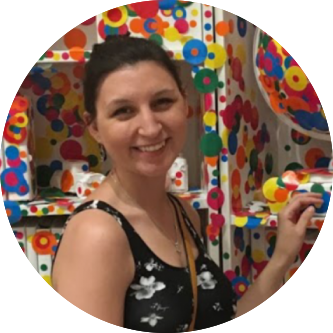 Sarah did her internship at National Coalition for the Homeless, and that combined with YES trips has truly changed the way she interacts with people daily. Sarah says that being on YES trips has truly shown her that Christ is in all people and all places, and has given her the opportunities every day to serve Him. She is very excited to continue to lead trips and be a part of the program! Rob has been in involved with YES Trips since 2012. He has played an integral part in planning and executing three Detroit, MI trips and the 2014 Grand Rapids, MI trip. He also has youth ministry experience as a Sunday School teacher since 2010, Camp St. Mary’s Community Service Director/Counselor from 2009-2013, and Rocky Road Youth Ministry from 2010-2012. He has extensive Non-Profit experience in the following areas: Wayne State University Alternative Spring Break Detroit, Site Leader/coordinator (2010-2014), Preventive Medicine & Physiotherapy Association, President/Nicaragua trip coordinator (2014-current), Doctor of Physical Therapy Class of 2015 student organization, Community Service Chair (2013-2015), SAY Detroit PT clinic, leadership committee (2013-2015), Diabetes Education Wellness clinic, leadership committee (2014-2015), and Righteous Benevolence, President (2009-2012). Witnessing fellowship and service spark up compassion and desire for social justice in the youth is incredible. YES trips are a refreshing reminder of our calling to serve one another. Peter has been involved in teaching kids since he was very young himself. He started staffing Vacation Church School Programs at 11, and was involved in church camps till about 18. At 16, he attended his first YES trip and has co-led 4 trips since then. 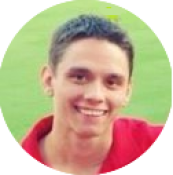 Peter is very energetic and fun to be around, yet also knows how to keep youth channeled and lead by being part of the group. Peter completed his Eagle Scout project at FOCUS Gateway City in 2010. Since then, he tries to volunteer anytime they need a hand at the Center. He has been involved in volunteering from a young age, thanks to his parents. After spending years in the For-Profit food service industry he understands the practical and operational needs of charities as well. Jacob Corbin has been a participant and YES Leader since 2010 when he first discovered his love for Jesus Christ and His people during his first visit to Skid Row in Los Angeles. His formative experience at Camp St. Nicholas as a camper, Head Counselor, and Evening Program Director influenced his decision to pursue Youth Ministry. He received his Bachelors in Human Development at UC San Diego where he conducted research at San Diego Youth Services emergency homeless teen shelter in fulfillment for his degree. 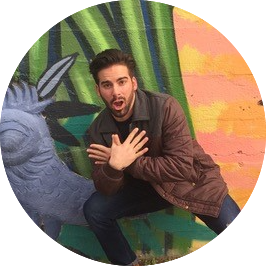 Jacob’s passion for humanity is currently being served as the Youth Director at St. Elijah Antiochian Orthodox Church in Oklahoma City. YES continues to defy his notion of Jesus Christ and opens his eyes to a God that is always trying to unify Himself to humanity. 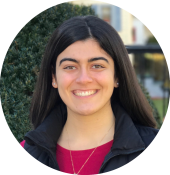 Laila is a Doctor of Physical Therapy student at Sacred Heart University in Fairfield CT but was born and raised in Worcester MA! She has been involved with YES since 2011 and has attended countless trips across the country both as a participant and a leader. YES has become a huge part of her life and has ultimately helped her find her passion, which is serving and loving every person she encounters. Laila was on staff at the Antiochian Village for two years where she learned how to put her faith into action and that the most beautiful form of love is sacrificing for the other. She also volunteered at Special Olympics Sports Camp in PA for 7 years. She is extremely blessed and humbled to be able to help lead YES trips and cannot wait to continually meet new people and to hear their stories. Christina has been growing alongside YES since 2005 as a participant and a leader. She has worked in youth development since 2008 through Camp St. Nicholas, her local church’s youth group, and international youth development programs like the Let Girls Learn campaign. The YES program helped shape Christina’s view of the world beyond her small-town bubble, and invited her to lovingly engage with the world around her. She discovered a desire to embrace the challenges and suffering of with world with a smile and sense of community. She brings YES’s ideals of compassionate service and a Christ centered approach with her as she as she advocates for human rights, public health issues, and international women’s rights. She has a degree in Public Health from Cal.State Monterey Bay and is working on her masters in International Policy and Development at Middlebury Institute of International Studies. 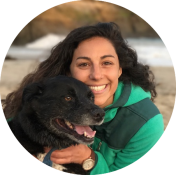 Christina currently lives in Ben Lomond, California and works for United Way of Monterey County as a policy advocate on behalf of low-income families. Having grown up and gone to college in Massachusetts, Morgan now calls Connecticut home. YES was a staple in Morgan’s adolescence and this helped to shape how she would serve as an adult. 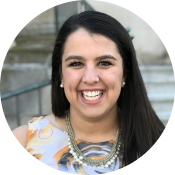 Morgan looks gratefully to the ways in which YES, and the interactions and people she has had the pleasure to meet, know, and serve as a result, have helped to show her the purpose she can serve in the world. After graduating with her B.S. in 2016, Morgan took on the role of being a YES Leader and has served alongside passionate participants and leaders since. Following the completion of her M.A. 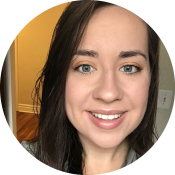 in 2018, Morgan now works in Postsecondary Disability Services at the University of Connecticut. In her work, relationships, and interactions, Morgan finds Christ at the center. Keeping social justice and equity as core values is important to both her work and to leading YES trips. This has had a critical impact in shaping how Morgan lives, leads, and serves in and outside of the YES program. 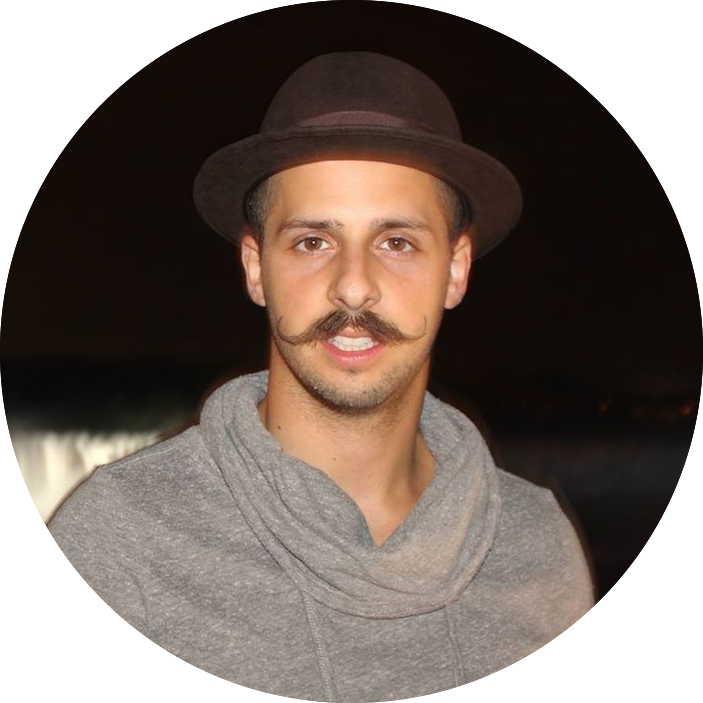 Pano has been a YES participant since 2011 attending trips in 9 different cities. Being actively a part of the YES program since the age of 16 helped shape frame the lens through which he perceives the world. 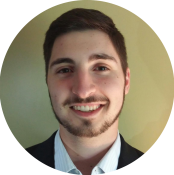 He is a 2016 graduate with a degree in Sociology and a lifelong passion for income inequality and social injustice. While living most of his life in Ohio, Pano now resides in Washington DC. Sarah is a nonprofit professional who loves helping others put their best foot forward towards achieving their goals. She is currently the communications and grants manager at a nonprofit organization where she helps people connect with the mission of her organization in a meaningful, action-inspiring way! Sarah found YES through a college internship with FOCUS North America and has been helping people re-imagine their lives through the context of serving others ever since. YES is an important ministry because it challenges young people to take ownership in their lives, grow as servant-leaders and embrace everyone they encounter with compassion and love.